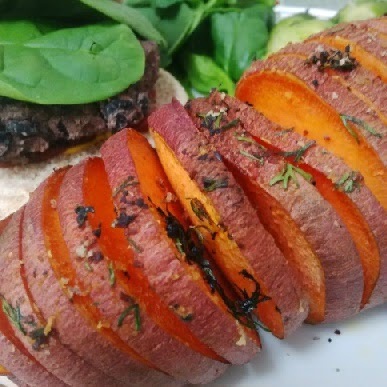 I love sweet potatoes so much, and never really thought they could get any better. They're so delicious roasted and smothered with butter and brown sugar! However, this recipe takes them to a whole new level of awesome. 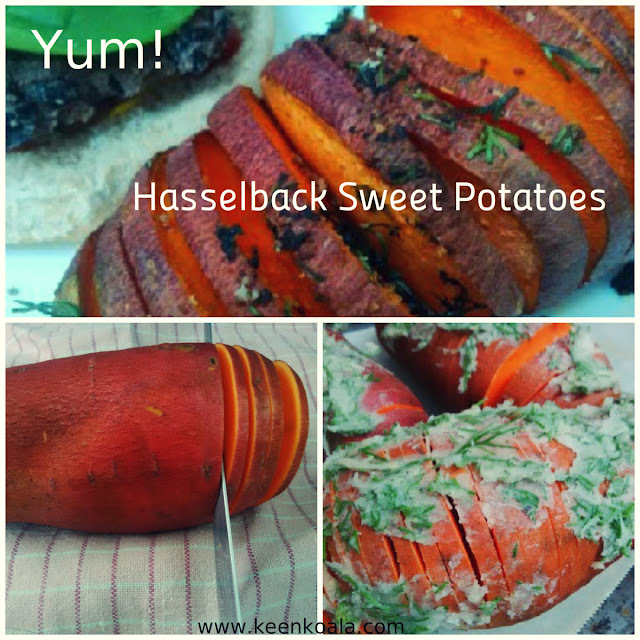 Hasselback potatoes are a Swedish style of sliced and roasted potato, where slices are formed along the entire length of the tuber, providing plenty of nooks and crannies for delicious flavors to cling. I had my best friend and her toddler over for supper the other night and made these. It was no surprise that her son loved them. The mild sweet flavors appeal to everyone! 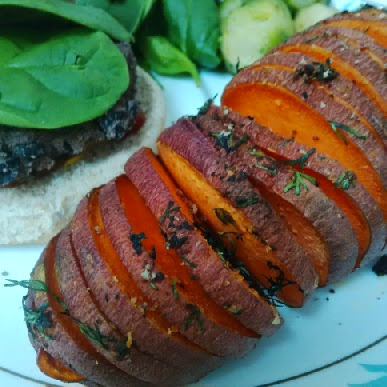 Some recipes called for cooking the potatoes at 350F, but I find that cooking them at a higher heat (425F) seems to caramelize the sugars in the potato resulting in a complex taste that is too delicious to describe! Okay, so now that I'm feeling good and hungry, and I'm sure you are too, let's get on with the recipe! 1. 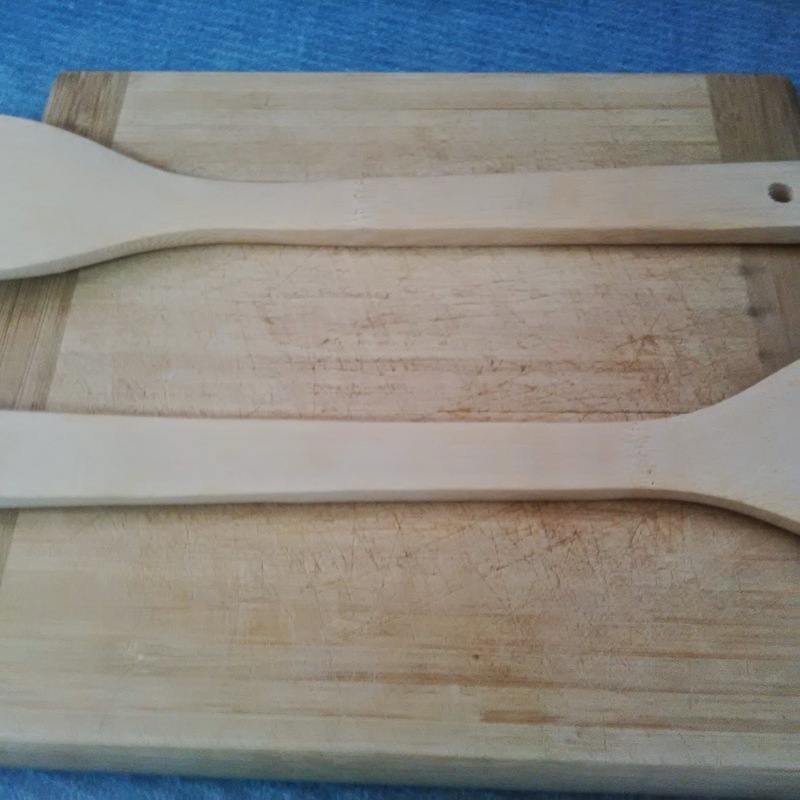 Place 2 wooden spoons on a cutting board and cover with a tea towel. Place potato lengthwise (flattest side down) in between the spoons. 2. With a sharp knife cut slices all along the potato. 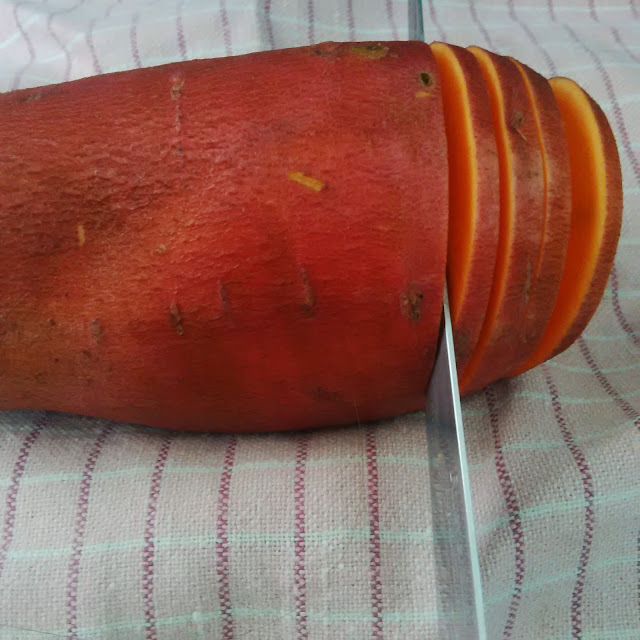 The spoons will prevent you from cutting too deep and slicing right through the potato. 3. 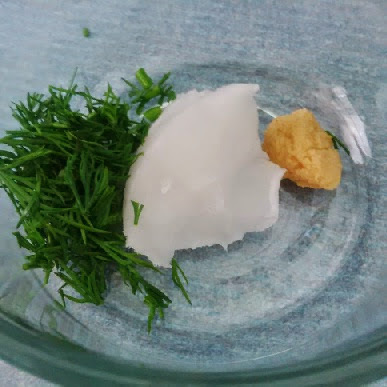 In a small bowl combine coconut oil, dill, garlic, and salt and pepper. 4. 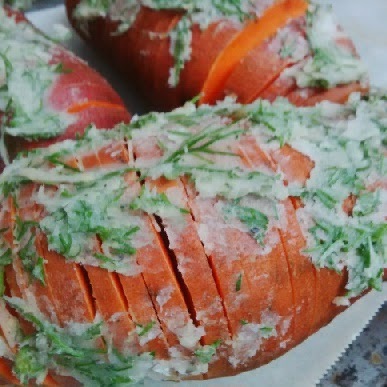 Spread mixture over tops of potatoes and try to get in between the slices. 5. Transfer potatoes to a baking sheet covered with aluminum foil and bake in a 425-degree oven for 50-70 minutes or until tender throughout. 6. Sprinkle with ground pecans before serving. I hope you enjoyed this recipe. For instant access to more great posts, exclusive content and contests, please like Keen Koala on Facebook by clicking HERE!